With another school year in the books, it's time to pick the top athletes for each season. Top Staples Male Athlete: Boys soccer player Brendan Lesch, who was an All-American and led the Wreckers to their third straight FCIAC title, is the obvious choice. Lesch made things happen on both sides of the ball and will be playing for the University of Notre Dame next year on a scholarship and is seen as a potential professional soccer player once he graduates from Notre Dame. Other elite male athletes include Lesch's teammates Sean Gallagher, Greg Gudis and Frankie Bergonzi, football players Rob Gau, Matt Yeager, Tyler Jacobs, Mike Nicklas, Patrick Murray and Chris Coyne and cross-country runner Ben Aldrich, who qualified for New Englands. Top Staples Female Athlete: Girls soccer player Jaclyn Katz was a go-too player who made things happen and led the Lady Wreckers to the Class LL quarterfinals. Katz was an All-FCIAC forward and will play for Cornell University. Volleyball player Alex Masiello is the first other elite female athletes to be mentioned because she was the second best female athlete for all fall sports at Staples. Masiello was a First Team All-FCIAC selection and was almost as dominant on the court as Katz was in the pitch. Joining Masiello as other elite female athletes include her teammate Joosje Grevers, soccer players Nikki Brill, Kelly Bohling and Jessie Ambrose, swimmers Molly Loftus, Stephanie Nussbaum, Schaefer Andrews, Gabby Wimer, Sarah Cooperman and Verity Abel, field hockey players Erica Gendels and Callie Hiner and cross-country runner Ingrid Johnson. Top Weston Female Athlete: Cross-country runner Kara Bucaro qualified for New Englands and carried the Lady Trojans all year as a long distance runner. Coming close to Bucaro is the top other elite female athlete, volleyball player Christina Welsh, who was dominant on the court. Joining Welsh in this category are her teammates, Jessy Gersh, Lili Clement and Hannah Ashmore, swimmers Karen Bottger, Olivia Clark, Alex Edgar and Katie Johnson, soccer players Callie Bowie and Hannah Hutchins and field hockey players Cathy Fredrickson, Sara O'Brien and Becky O'Brien. Top Weston Male Athlete: Football player Eddie Hutchins carried the Trojans to a 6-4 record by breaking 1,000 yards rushing. Other elite male athletes include Hutchins' teammates Jack Crowell, Carmine Magnoli, Drew Clevinger, Jacob Spencer and Joey Falci, soccer players Jared Weiss, Jack Steinharter and Mike Certoma and cross-country runners Stephen Vento and David Stankiewcz. Top Staples Male Athletes: Boys basketball players Gabe Seidman and Luke Yeager were head and shoulders above everyone else with their excellent play in leading the Wreckers to a 16-7 year. Both players will play in college next year. Other elite male athletes include basketball players Jake Felman and Mike Argosh, hockey players Luke Andriuk, Kyle Wehmhoff and Aaron Liu, swimmers Cory Bacon, Zach Slater and Nathaniel Boley, track athletes Raphael Ray, Sean Gallagher, Jack Roche and Jon Heil, wrestlers Chris Giunta and Julian Gendels and skier Andy Chappo. Top Staples Female Athlete: Skier Melissa Sweeney was an All-Stater for the fourth straight year and led the Lady Wreckers to second place at State Open. Other elite female athletes include basketball players Nikki Brill, MK Van Sant and Erica Stein, gymnasts Anna Violette and Lindsay Kiedaisch, hockey players Brittany Hamlin and Gwen Moyer and track athletes Ingrid Johnson, Kelley Hussey and Lexie Schachne. Top Weston Female Athlete: Basketball player Christina Welsh led the Lady Trojans to an 11-1 record before suffering a season-ending injury and was a top point guard and defender. Weston was a different team with Welsh out of the lineup. Other elite female athletes include basketball players Hannah Hutchins, Dakota Sloop and Ellie Martin, gymnast Lexi Gandal, track athletes Kara Bucaro, Kiki Litvak and Callie Arlo and skier Shelby Merberg. Top Weston Male Athlete: Basketball Team MVP Justin Mettel was unstoppable when he was hot and played hard despite an injured shoulder. Other elite male athletes include Mettel's teammates Cole Rosemann, Max Molinsky and Lyle Mitchell, swimmers Spencer Kelley and Jordan Berger, wrestler Carmine Magnoli, track athletes Stephen Vento, Paul Philpott and Dave Stankiewcz and skier Ryan Vogel. Top Staples Male Athlete: Danny Hirschberg won the State Open singles title and led the Wreckers to the Class LL title. Hirschberg was the FCIAC and Connecticut Post's All-Area Team MVP and will be playing at Brown University. Other elite Staples male athletes include boys tennis players Graham Hyman and Jake Hirschberg, lacrosse players Matt Yeager, Kip Orban, Charlie Ross, J.B. Breig, Joey Zelkowitz and Quinn Mendelson, track athletes Raphael Ray, Sean Gallagher, Jack Roche, Ben Aldrich, Jon Heil, Henry Wynne and Walker Marsh, baseball players Rob Gau, Mikey Scott, Colin McCarthy, Tyler Jacobs, Ben Lipper, Brendan Bernstein and Bryan Terzian, golfers Andrew Gai and Kirk Massie, volleyball players Danny Fishman, Andreas Bub and Jonah Aelyon and rugby players Andrew Washington, Adam Washington and Bret Epright. 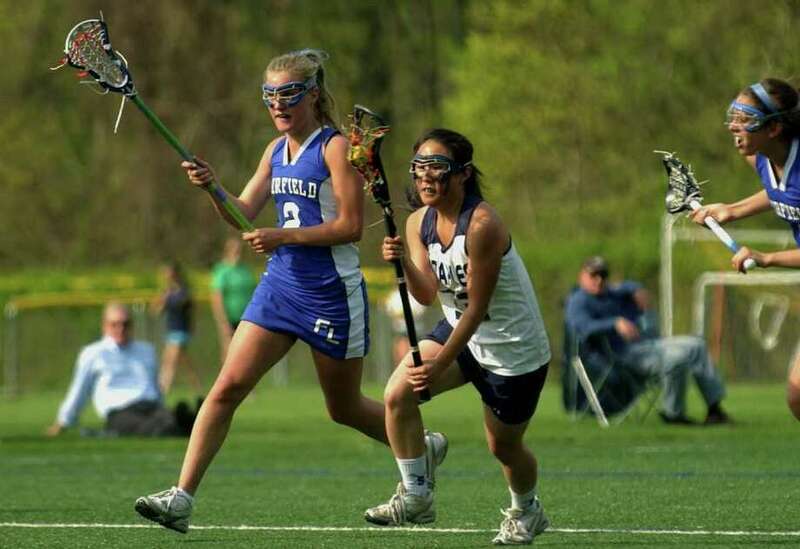 Top Staples Female Athletes: Lacrosse teammates Nikki Seo and Maeve Flaherty were First Team All-FCIAC selections and led the Lady Wreckers to a 13-3 regular season. Seo was Team MVP and Flaherty, the only junior honored, was an All-American selection. Other elite female athletes include Seo's and Flaherty's teammates, Penny Tsilfides, Jessie Ambrose, Ali Crofts, Adele Mackey and Remy Nolan, tennis players Molly Rudinger and Melissa Beretta, track athletes Ingrid Johnson, Emily Hanrahan, Kristen Weiler, Lexie Schachne and Georgia Kursten, softball players Caitlin Kane and Alex Masiello, golfer Kim Hynes and water polo players Stephanie Nussbaum and Sarah Cooperman. Top Weston Male Athlete: Track star Stephen Vento led the team to a successful spring and was its top runner all three seasons. Other elite male athletes include Vento's teammates Paul Philpott, Brad DeMarco and Dave Stankiewcz, tennis players Cam Hagen and David Freeman, lacrosse players Alex Peyreigne, Kip McMahon, Jack Scheufele, Lyle Mitchell and Richie Miller, golfer Joe D'Amato and baseball players JJay Lane and Alex Merberg. Top Weston Female Athlete: For the first time ever, I'm picking a sophomore by selecting State Open singles tennis champion Kimmy Guerin. Guerin was dominant by winning every set and match and losing only eight games all year. Other elite female athletes include Guerin's teammates, Zoe Valella, Emma Samson, Aly Ashmore, Caroline Toutoungi and Jessy Gersh, lacrosse players Hannah Hutchins, Sara O'Brien, Catie Ledwick, Morgan Moubayed and Lindsay Koch, golfer Dylan Katz, track athletes Kara Bucaro, Kiki Litvak, Callie Arlo, Ellie Martin and Sara Dietzman and softball player Kat Fischer. Ingrid Johnson was a dominant runner all three seasons and selecting her as Staples Female Athlete of the Year was easy. 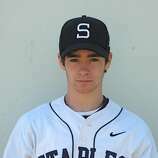 Stephen Vento was heads and shoulders better than all of his male peers and was an easy choice for Weston Male Athlete of the Year. Picking the Staples Male Athlete of the Year was difficult and there were many good candidates but in the end, Sean Gallagher gets the nod because of his prowess in soccer and track, edging out Matt Yeager, Raphael Ray, Rob Gau and Tyler Jacobs. The Weston Female Athlete of the Year was almost as complex as the Staples male but in the end, Kara Bucaro is the choice because of her dominance in distance running, edging out Christina Welsh and Hannah Hutchins. This was an interesting year and to all the senior athletes, congratulations and good luck in your future endeavors.